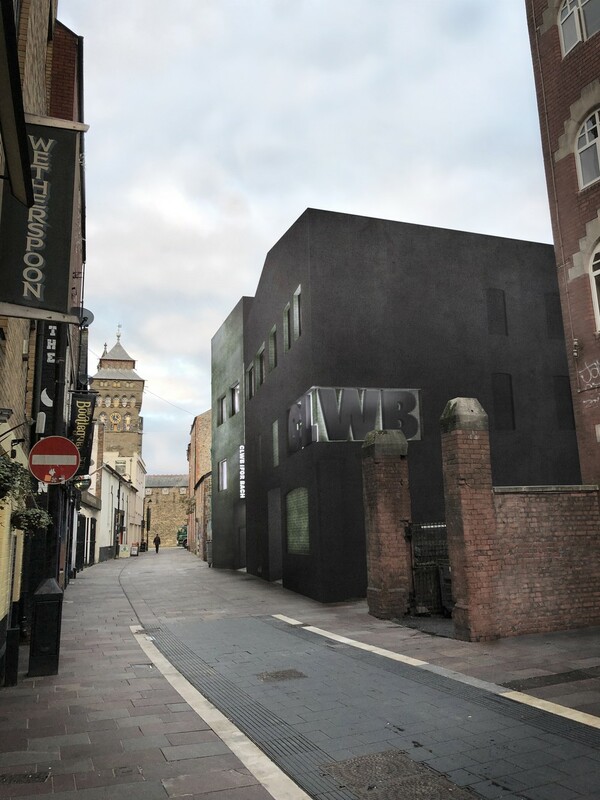 The plans were revealed to the public on the evening of Monday 4th February at an open consultation at Clwb Ifor Bach. The public were invited to view the proposals and give feedback via an online survey available on Clwb’s website. 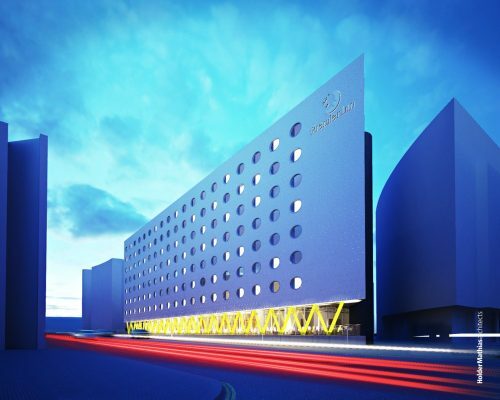 The scheme will see Nissen Richards studio take on their third live music venue to-date; having previously redeveloped the now critically acclaimed venue, Printworks London, and the soon-to-be constructed Magazine in Greenwich Peninsula, which will be opening in the summer. Sitting within the St Mary Street Conservation Area, the redevelopment of Clwb Ifor Bach is a community led enterprise. Having opened its doors in 1983 as a Welsh language working men’s club, over its 35 year life-span it has transformed into a live music institution. It has since became ingrained within the narrative of the city as a bastion of Welsh culture and a rite of passage for music goers and musicians alike. Nissen Richards Studio has worked closely with a broad consultant team, staff and stakeholders to create a new space for Clwb that will turn Womanby Street and the surrounding urban landscape into a destination. 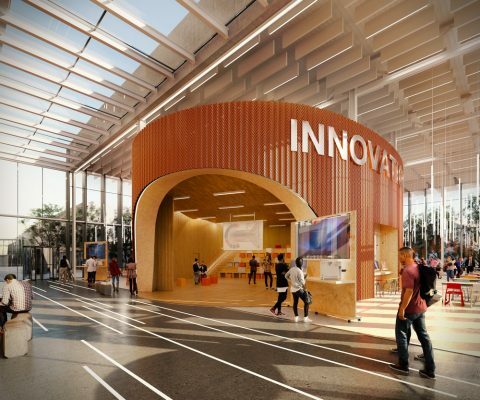 The new 1270 sqm venue will be created through the redevelopment of the adjacent derelict property, and the reconﬁguration of the existing building, resulting in a new 500 capacity double height space on the lower ﬂoor, and an additional 300 capacity space on the upper ﬂoor. 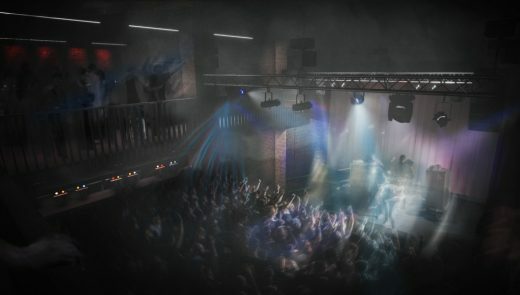 The new design will enable both spaces to be operated simultaneously, offering Cardiff’s live music scene a venue suitable for both early-career bands and big-name favourites. The upgrades to the existing Clwb venue will include improved facilities such as green rooms, increased toilet capacity, new bars, ofﬁces and workshops, and an increased capacity to allow for higher proﬁle acts. In removing the ﬁrst ﬂoor, Nissen Richards Studio has created a double height performance space, creating a standing area to accommodate 375 people and a wrap-around mezzanine balcony that can stand a further 125. Allowing for performances on a larger scale, the design will see the raw interior radically opened up with exposed masonry, steelwork and concrete creating an industrial aesthetic. 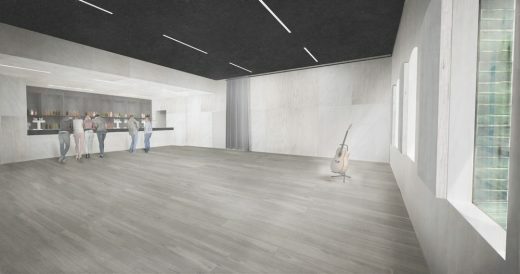 The upper second ﬂoor space will also have capacity for 300, allowing for a more intimate timberlined musical setting that can be used both for live music shows, events, exhibitions and conferences. This reinvented space will help Clwb Ifor Bach to reach new audiences whilst maintaining the intimacy that has made Clwb such an iconic destination. 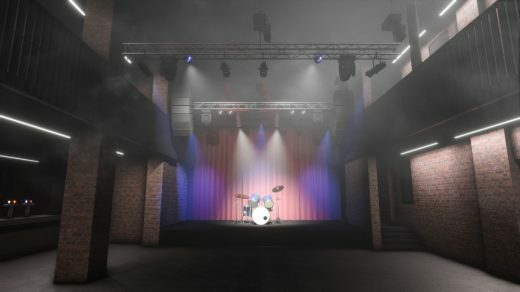 As independent music venues ﬁnd themselves facing economic hardship and are increasingly being shut down, Nissen Richards Studio is using its integrated architecture and design expertise to create dynamic spaces that are accessible, ﬂexible, and experimental whilst also leading the way in contemporary venue design. Nissen Richards Studio was established in 2010. We are a London-based design studio that evolved from a collaboration between architecture and theatre design. Today, we are a multidisciplinary practice that works across architecture, exhibitions, graphic design, theatre, story-telling, ﬁlm and animation. At its core, our work is about creating spaces that stimulate experiences. 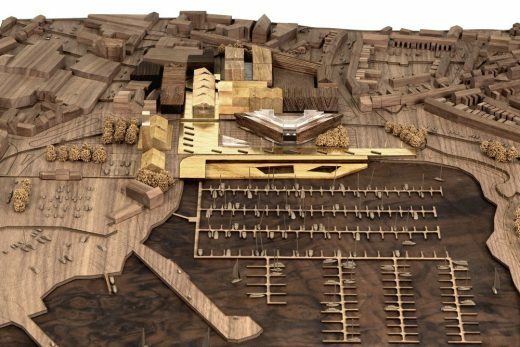 Having a broad range of skills and expertise gives us the ﬂexibility to work across varied projects, from small scale experimental theatre designs, exhibitions and architecture commissions, to large scale residential, commercial and cultural buildings. As a practice, we are thoughtful and imaginative, and take great pride in our work being of the highest quality. Collaboration, listening and dialogue are central to our working methodology, and as a curator of multiple creative ﬁelds, we are able to offer new design perspectives. Throughout all our work, we create clear systems of thinking, working and communicating, systems that are fully integrated in the overall design process. We have a thirst for excellence and a curiosity of the world that translates to beautifully crafted spaces for people to experience, feel and enjoy.